This post will only be of interest to people who live in the U.S. and have longed for the Greek “chorta” salad. 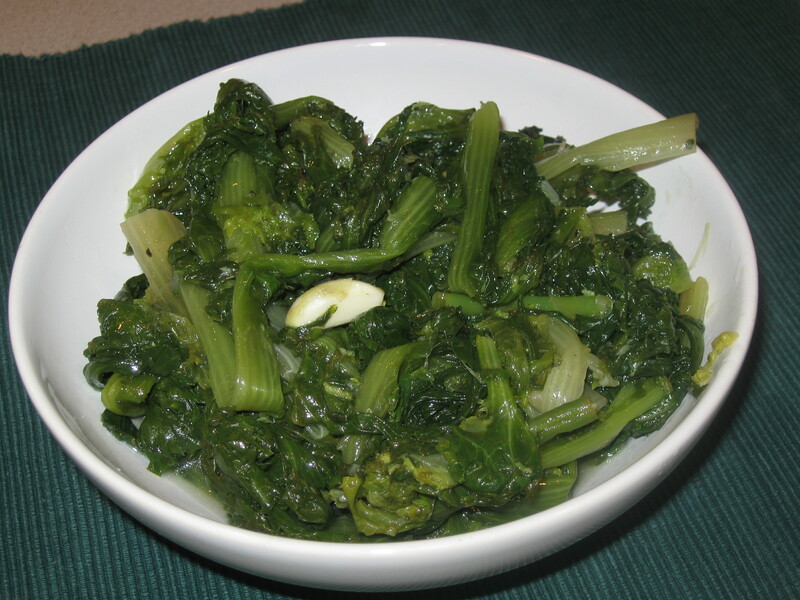 I finally, FINALLY, found the leafy green vegetable which can make a decent “chorta” salad. “Chorta” salad in Greece means greens cooked in water and served with salt, olive oil and lemon. There’s some variety of Greek greens that make nice “chorta'” salads but my favorite are the ones ones with crunchier or more “wild” textures. The verdict is out. Drum roll, drum roll, drum roll. 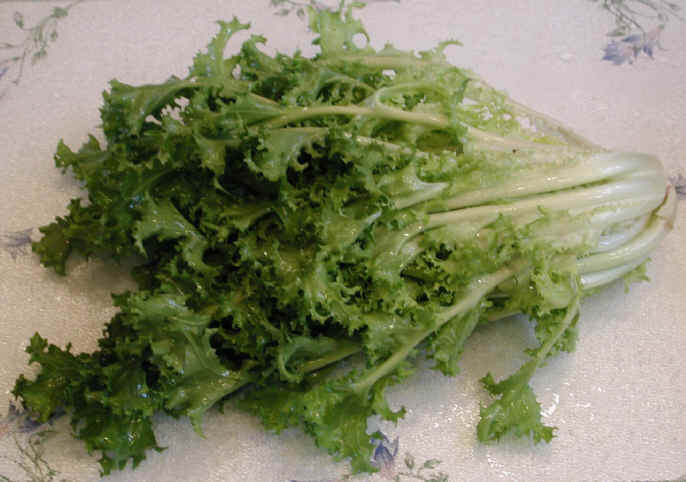 The American vegetable that’s closest to the desired taste and texture is … the curly endives variety of chicory greens! They are sturdy enough to remain crunchy after cooking and have this bitter flavor that I love. I followed the same cooking method as for “chorta”, i.e., boil in water until soft, add salt, pepper, plenty of olive oil and lemon. Before serving, I added two big cloves of garlic for flavor. I wouldn’t eat the cloves but they did a great job giving a little extra “kick” to the salad. Natalia, Greek chorta are very tender. Watch out not to overcook them!